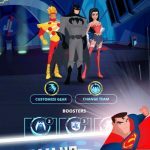 Recently, we provided you some tips for Doodle Jump, and now we’re moving on to another related title for you mobile gamers out there – Doodle Jump DC Super Heroes. 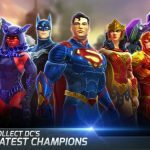 While you won’t be controlling any DC characters per se in this game, your character will be dressed like Batman as he takes on some of the Caped Crusader’s most notorious foes, including The Penguin, The Joker, Bane, The Riddler, and other super-villains. Gameplay is generally the same as Doodle Jump, but the obvious difference here is the Batman/DC theme running through the game. 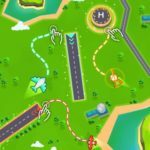 Having said that, let’s talk you through some of the better Doodle Jump DC Super Heroes cheats and strategies we can think of. This is going to take some practice, but it would be best to make use of both your hands to play Doodle Jump DC Super Heroes. One hand can be used to navigate your player, while the other can be used as your shooting hand. As you’ll have to do your fair share of multitasking, this will be hard in the early goings, but practice frequently and you’ll get the hang of it. Some people have complained about Doodle Jump DC Super Heroes’ shooting mechanics, but there are some ways to effectively take out enemies. For example, you can shoot while in motion and move toward your enemy’s direction as you’re landing. When dealing with lesser foes, you’ll be better off avoiding their path and focusing on survival – no big loss if you decide to ignore them in the game. 3. Don’t Just Jump, Glide! When leaping onto a platform, you’ll certainly have to jump, but you’ll get best results when using the cape glide; do this simply by swiping upwards. Not only would you land smoothly onto the platform, you’ll also be able to evade enemy attacks. Practice this frequently and you should be on the right track to a high score and lots of progress. Your Doodler will have the option to purchase a variety of upgrades, but there are some that are more recommendable than others. For example, you may want to consider the Jetpack or the Batcopter, as they both assist in upward motions. You can also purchase a Shield to upgrade your defense. 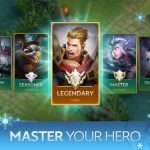 As for acquiring these premium crystals, we’d recommend simply playing the game and focusing on leveling up – that way you can earn crystals without having to spend a cent’s worth of real money. Don’t worry about it – it’s going to be relatively quick and painless. But on a practical note, this will allow you to get one retry free of charge. Falling again would require you to pay 100 crystals, so be careful the next time around, as you wouldn’t want to waste any of those precious crystals.